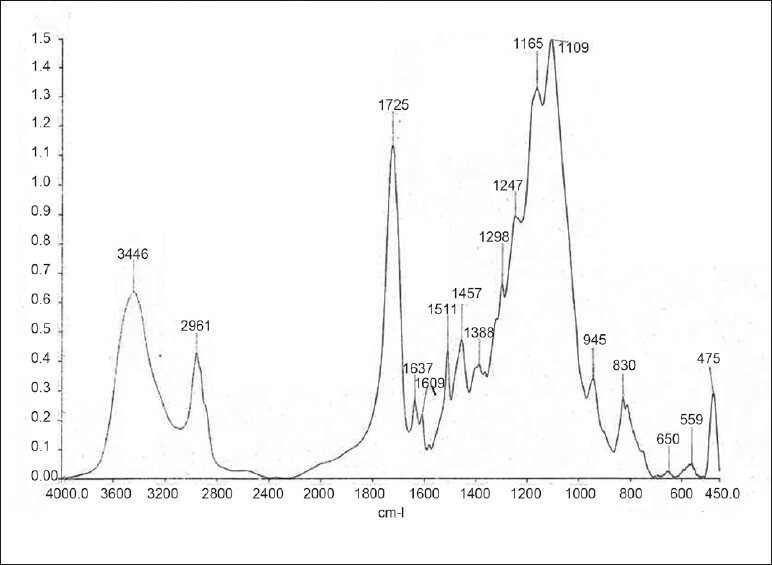 Objective: This in vitro study investigated the effect of a desensitizer on the degree of conversion of two bonding resins using Fourier transform infrared (FTIR) spectroscopy. Materials and Methods: An etch-and-rise bonding resin and a self-etching adhesive resin were selected for the study. Vivasens (Ivoclar Vivadent) was used as a desensitizing agent. Grouping was done as follows: Group I: Adper Single Bond (n=10), Group II: Adper Single Bond + Vivasens (n=10), Group III: AdheSE One (n=10), Group IV: AdheSE One + Vivasens (n=10). The bonding resin alone was light cured for 20 seconds in groups I and III. For groups II and IV, 1 ml each of the bonding resin and the desensitizer was mixed in a vial and light cured for 20 seconds. 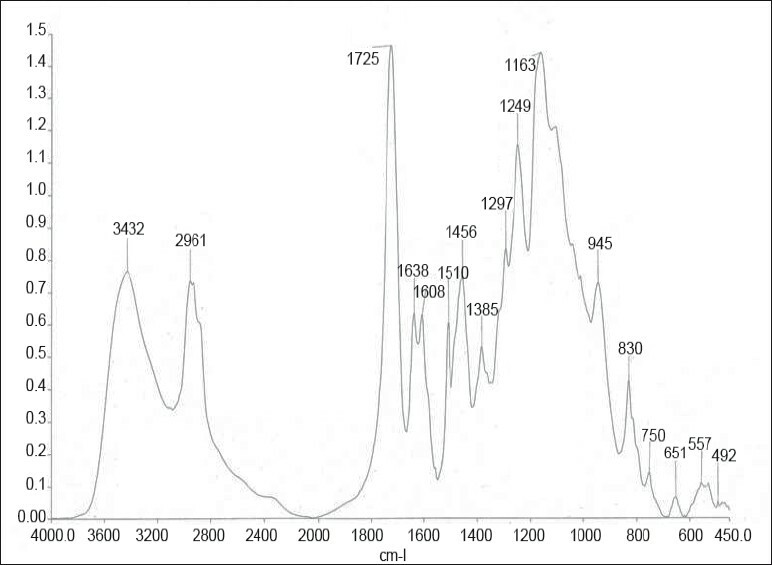 The specimens were analysed using FTIR spectroscopy. Results: Group II (Adper Single Bond + Vivasens) showed a significantly higher degree of conversion compared to Group I (Adper Single Bond). Comparing Groups III and IV, Group IV (AdheSE One + Vivasens) showed a significantly higher degree of conversion compared to Group III (AdheSE One). Conclusions: The degree of conversion is increased when a dentin bonding agent is used along with a desensitizer. Hence, this combination can be recommended to effectively control postoperative sensitivity. Even though the use of a desensitizing agent prior to application of dentin bonding resin seems to be promising, , we are not aware of its effect on the degree of conversion of the dentin bonding resin. The degree of conversion (DC) of the resin material is related to many properties, including mechanical properties, solubility, dimensional stability, colour change and biocompatibility.­  Hence, the aim of this in vitro study was to determine the degree of conversion of an etch-and-rinse dentin bonding resin and a self-etching adhesive resin used with and without a desensitizing agent using Fourier Transform Infrared (FTIR) spectroscopy. Group I and Group III specimens were prepared by curing 1 ml of the bonding resin in a vial for 20 seconds. Group II and Group IV specimens were prepared by mixing 1 ml each of the respective bonding agent and Vivasens in a vial, which was then immersed in an ultrasonic bath and mixed for 1 minute. The specimens were then light cured for 20 seconds. Ten such specimens were prepared for each group. The specimens were then sent for FTIR spectroscopy (Spectrum One, Perkin Elmer, USA) analysis. [Table 2] shows the mean degree of conversion (DC%) values and standard deviations of the study groups. 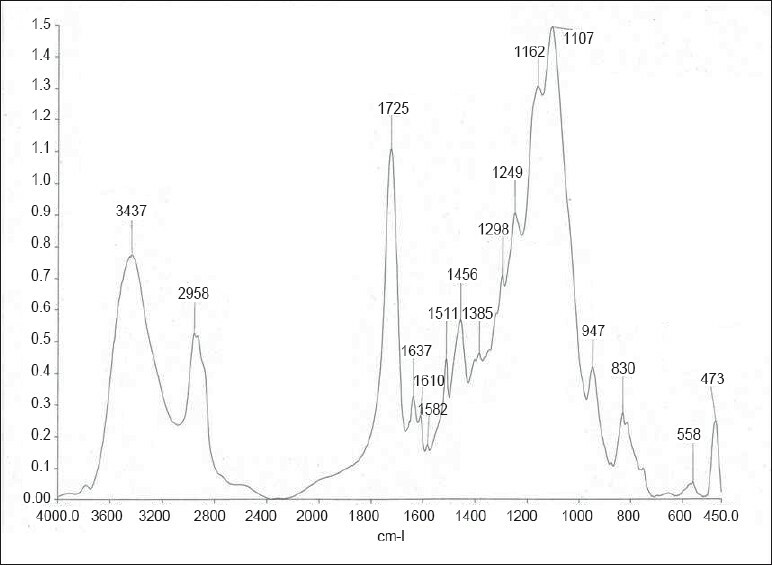 The FTIR spectra of the study groups are shown in [Figure 1], [Figure 2], [Figure 3] and [Figure 4]. Statistical analysis showed a significantly higher DC% values for Group II (Adper Single Bond + desensitizer-47.49±2.79) compared to Group I (Adper Single Bond - 37.61±3.03). Comparing Groups III and IV, Group IV (AdheSE One+desensitizer - 40.93±3.65) showed a significantly higher DC% values compared to Group III (AdheSE One-36.71±2.77). Comparing the groups without desensitizer, no statistically significant difference was found between group I (37.61±3.03) and group III (36.71±2.77). Comparing the groups with desensitizer, group II (47.49±2.79) showed a significantly higher DC% compared to group IV (40.93±3.65). The "Total-etch" adhesives or "Etch-and-rinse" adhesives combine the primer and the bonding agent into a single solution. A separate etching step is still required. As this system requires several time consuming steps, manufacturers attempted to reduce the number of steps and corresponding application time, making more user-friendly adhesive systems. In recent years, self etching resins containing acidic methacrylates have been introduced in an attempt to eliminate the steps of etching and rinsing. The application of dentin adhesive can result in the formation of long resin tags within the dentinal tubules, which may lead to postoperative sensitivity. , A method of reducing postoperative sensitivity is by using a desensitizer along with a dentin bonding agent. Studies have been done to check the effect of application of a layer of desensitizing agent on the bond strength of the bonding agent, but no studies have been done to check the degree of conversion of the bonding agent when a desensitizing agent is incorporated into it. According to this study, the combination of a dentin adhesive with a desensitizer showed an increase in the degree of conversion (Group III and Group IV) compared to when dentin adhesive was used alone (Group I and Group II). Dentin adhesive/desensitizer combination can be used to mechanically block patent dentinal tubules or physiologically decrease the excitability of the intradental nerves to relieve hypersensitivity. Vivasens, the desensitizing agent contains organic acids such as phosphoric acid methacrylate and solvents such as ethanol which induce the precipitation of proteins in the dentin liquid. Moreover, the sealing effect is enhanced by co-precipitating polyethylene glycol dimethacrylate, which is present in Vivasens. Polyethylene glycol dimethacrylate is a condensation polymer, which acts as an organic filler and cross links molecular chains of polymers. Therefore an increase in the degree of conversion in Group II and Group IV can probably be attributed to the presence of polyethylene glycol dimethacrylate. Within the limitations of this in-vitro study, it can be concluded that the use of a desensitizing agent along with a dentin bonding resin does not affect the polymerization of the bonding resin and can be recommended to effectively prevent postoperative sensitivity associated with composite restorations. 1. Yazici AR, Celik C, Ozgunaltay G, Dayangac B. Bond strength of different adhesive systems to dental hard tissues. Oper Dent 2007;32:166-72. 2. Aw TC, Lepe X, Johnson GH, Manel LA. A three year clinical evaluation of two-bottle versus one-bottle dentin adhesives. J Am Dent Assoc 2005;136:311-22. 3. Swift EJ Jr, Perdigao J, Wilder AD Jr, Heymann HO, Sturdevant JR, Bayne SC. Clinical evaluation of two one-bottle dentin adhesives at three years. J Am Dent Assoc 2001;132:1117-23. 4. Watanabe I, Nakabayashi N, Pashley DH. Bonding to ground dentin by a phenyl-P self-etching primer. J Dent Res 1994;73:1212-20. 5. Gordan VV, Vargas MA, Cobb DS, Denehy GE. Evaluation of adhesive systems using acidic primers. Am J Dent 1997;10:219-23. 6. Dondi dall′Orologio G, Lone A, Finger WJ. Clinical evaluation of the role of glutardialdehyde in a one-bottle adhesive. Am J Dent 2002;15:330-4. 7. Soares CJ, Santos Filho PC, Barreto BC, Mota AS. Effect of previous desensitizer and rewetting agent application on shear bond strength of bonding systems to dentin. Cienc Odontol Bras 2006;9:6-11. 8. Fu B, Shen Y, Wang H, Hannig M. Sealing ability of dentin adhesives/desensitizer. Oper Dent 2007;32:496-503. 9. Cekic-Nagas I, Ergun G, Vallittu PK, Lassila LV. Influence of polymerization mode on degree of conversion and micropush-out bond strength of resin core systems using different adhesive systems. Dent Mater J 2008;27:376-85. 11. Schupbach P, Lutz F, Finger WJ. Closing of dentinal tubules by Gluma Desensitzer. Eur J Oral Sci 1997;105:414-21. 12. Ferracane JL. Correlation between hardness and degree of conversion during the setting reaction of unfilled dental restorative resins. Dent Mater 1985;1:11-4. 13. Carmichael AJ, Gibson JJ, Walls AW. Allergic contact dermatitis to bisphenol-A- glycigyldimethacrylate (BIS-GMA) dental resin associated with sensitivity to epoxy resin. Br Dent J 1997;183:297-8. 14. Nie J, Linden LA, Rabek JF, Fouassier JP, Morlet-Savary F, Scigalski F, et al. A reappraisal of the photopolymerisation kinetics of triethyleneglycol dimethacrylate initiated by camphoroquinone-N, N-dimethyl-p-toluidine for dental purposes. Acta Polymer 1998;49:145-61. 15. Reichl FX, Durner J, Hickel R, Spahl W, Kehe K, Walther U, et al. Uptake, clearance and metabolism of TEGDMA in guinea pigs. Dent Mater 2002;18:581-9. 16. 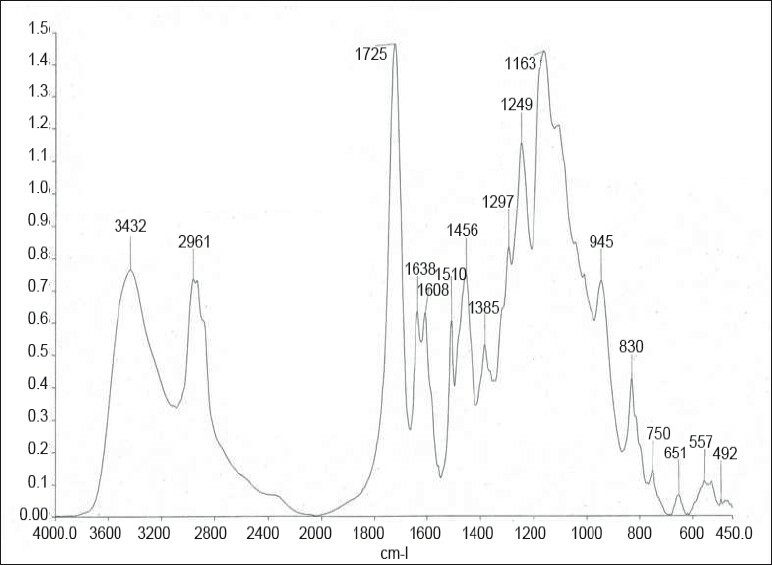 Vinoth Kumar TS, Shyamala PV, Kavitha S, Laksminarayanan L. Invitro evaluation of degree of conversion of various luting resins at different levels of post space using FTIR spectroscopy. Endodontology 2008;20:37-43. 17. Available from: http://www.chemicalland21.com/industrialchem/functional%20Monomer/POLYETHYLENE%20GLYCOL%20DIMETHACRYLATE.htm [Last accessed on 2010 Jan 5].